A collection of beautiful Bidens varieties, in a range of vibrant colours to create a stunning display in your patio container. 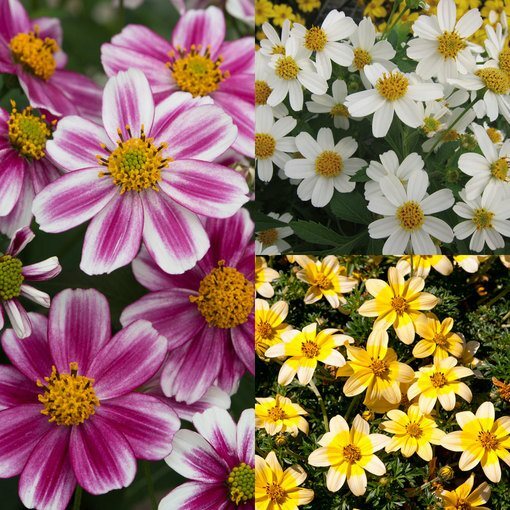 Producing a dense carpet of single daisy-like blooms from June to October. 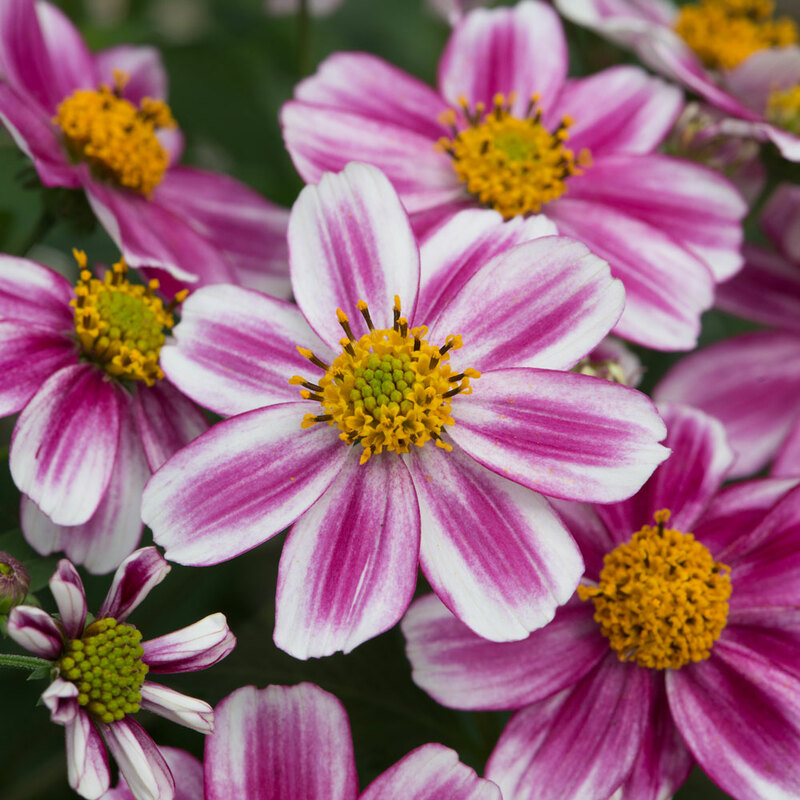 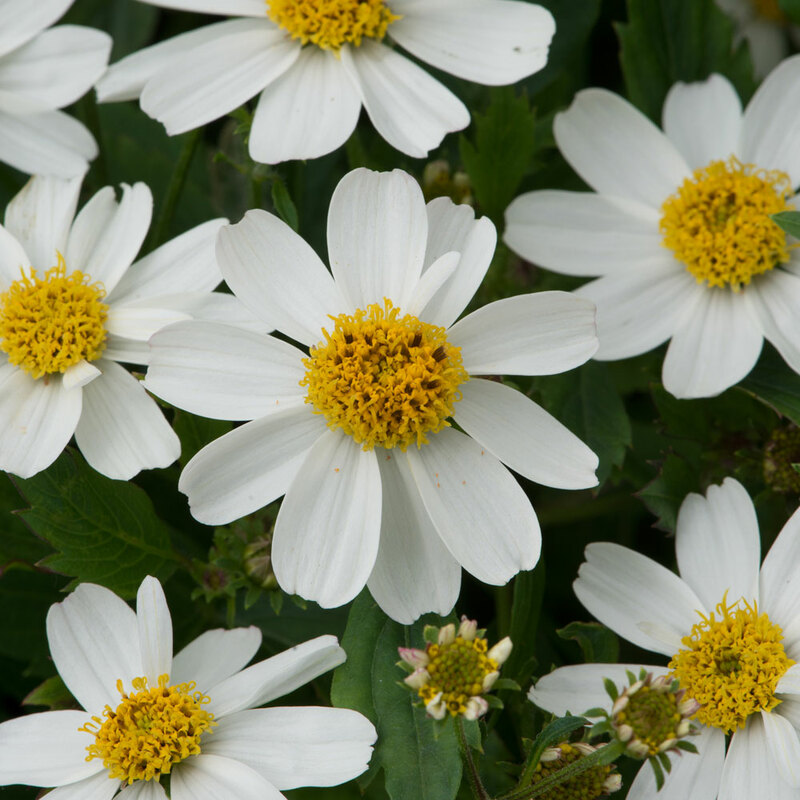 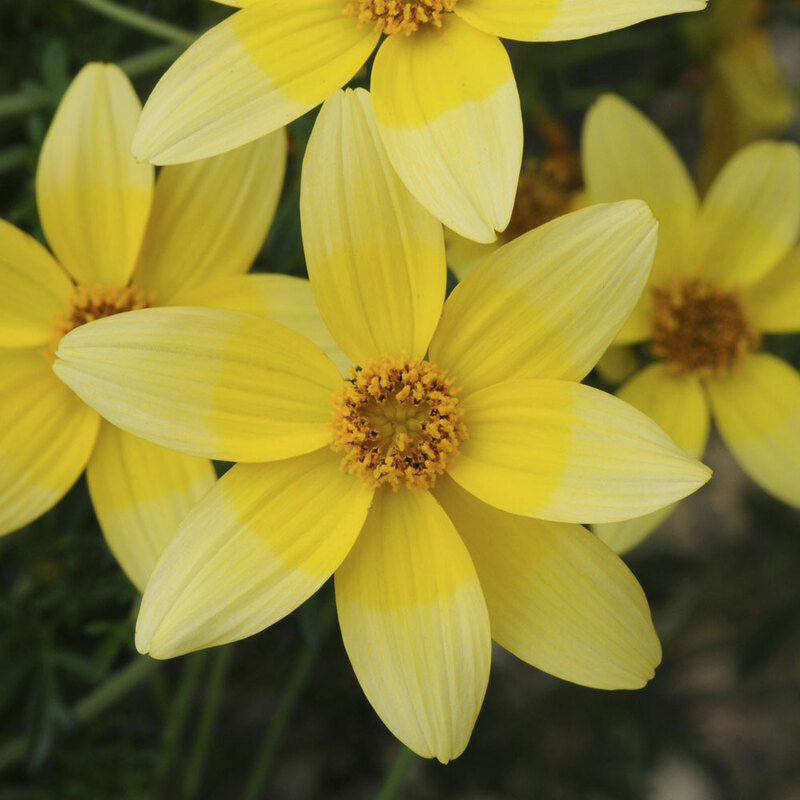 Order six and you will receive two each of Bidens Firelight (pink/white), Bidens Moonlight (pure white with yellow centre) and Bidens Golden eye (pale yellow with bright yellow circular marking). 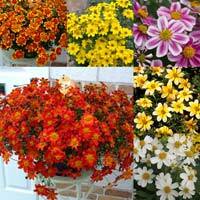 Order 18 for six of each variety. 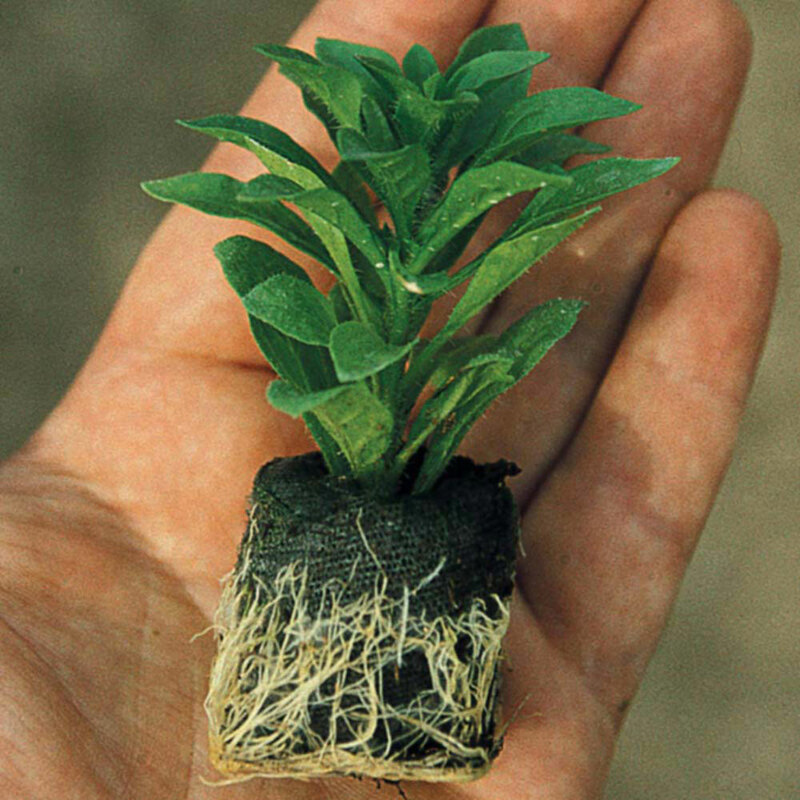 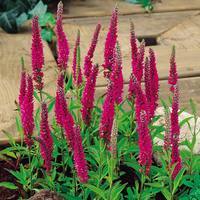 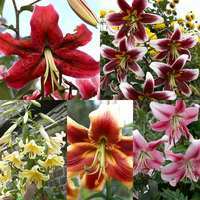 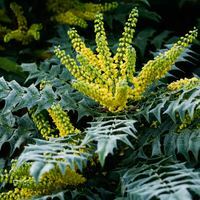 Supplied as UK-grown 3cm plug plants.